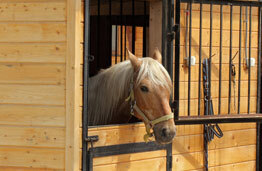 Custom Sheds, Garages & Animal Shelters for Every Need! Whether you need more storage space, want to build your own workshop or man-cave or need durable, secure shelter for horses, chickens or man's best friend, Stoltzfus Woodworks offers quality-built structures for every need! All of our buildings are built to order using premium-quality materials and components for outstanding value and buildings that last for years to come. 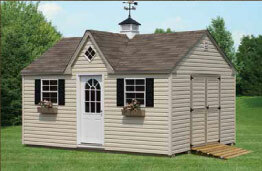 We offer a variety of shed, garage and animal shelter models to suit your needs and backyard decor. 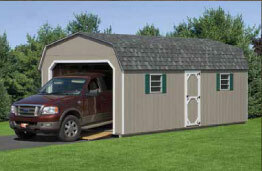 But every building we build can be customized for you. Whether you want to change the position of the windows, add an extra door or need a larger size, Stoltzfus Woodworks can create the building that's right for you! 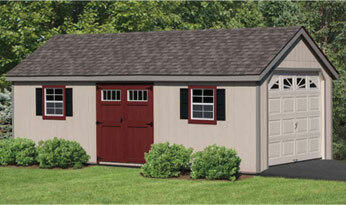 Not sure which shed model is right for you? Need help deciding on sizing or features? Our experienced staff can help! Contact us today to get the answers to all your questions and make the best decision for your storage, garage or animal shelter needs.